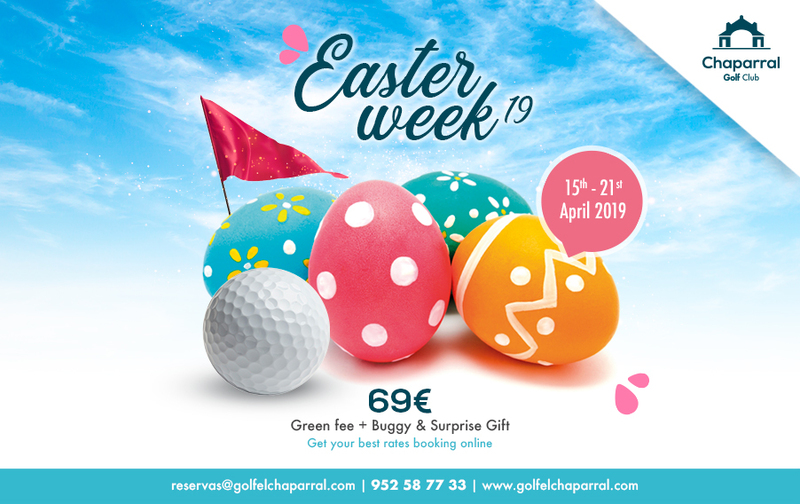 Easter Week 2019, Chaparral Golf Club, Costa del Sol. The Easter Week (Semana Santa in Spanish), in the Costa del Sol is one of the most important holidays of the year. Easter in Malaga is characterised by long, solemn processions with religious figures of Christ or the Virgin, being carried by different brotherhoods through the city for 7 days. The restaurants are open late and the local bakeries will supply the typical “Spanish Torrijas”, slices of bread dipped in egg then soaked in wine or milk, fried and sweetened with sugar and sprinkled with cinnamon. Enjoy Chaparral´s special Easter Offer with golf, buggy & surprise gift and the local activities between rounds!